I had my first meeting with the client and it seemed they wanted a little more. First of all they had no branding so wanted their logo for print in grey scale, colour, center and left aligned plus the web logo. Next they wanted a watermark and a way to add it to all of their images including the words "UK Seller". Then they wanted the HTML, CSS and Script for the shop which needed a slideshow and zoom for the images. Lastly they wanted HTML, CSS and Script for a product. The problem was I couldn't access the ebay account from my computer, only from their network and computers so as not to cross contaminate any eBay accounts. I created all of this for the client and went in and spent the day installing the shop, Fireworks png and showing them how it all works. The client can now happily add products and images in the new layout and design very quickly and easily. 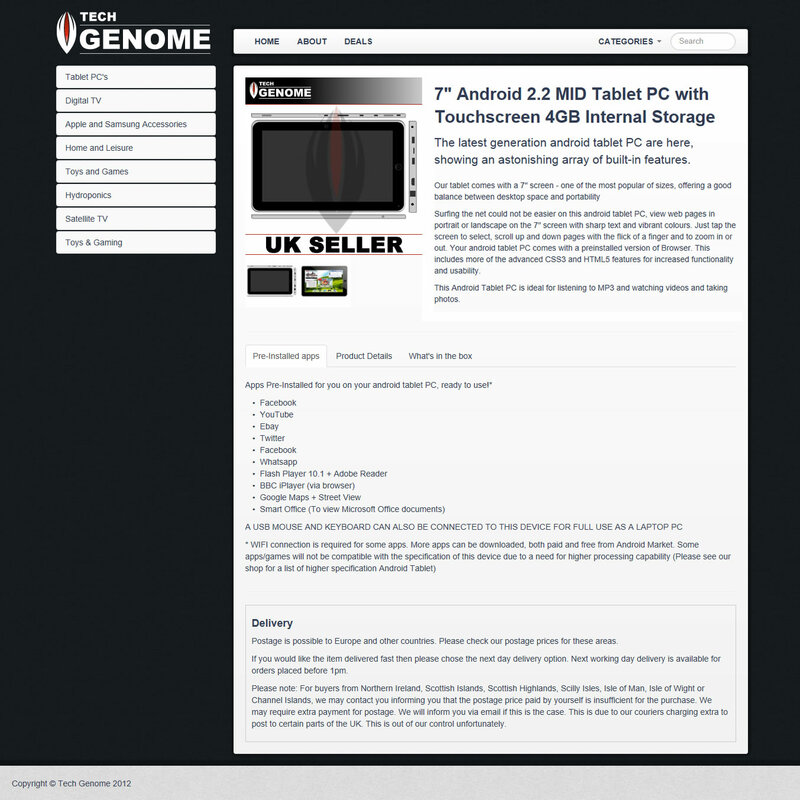 Tech Genome is an ebay shop selling electrical goods at a low price.